Harare is the capital of Zimbabwe, and it is a very pretty city with wide streets, the majority of them lined with Jacaranda trees which in October have beautiful purple flowers that make the city even more attractive. Harare has very spacious gardens, and has a wide variety of shops as well as an abundance of restaurants both in the city centre and in the surrounding suburbs. This is a gallery in which there is a good selection of Zimbabwe's Shone Sculpture, art, stone carvings and heritage. The gallery has recently celebrated its 50th year anniversary. 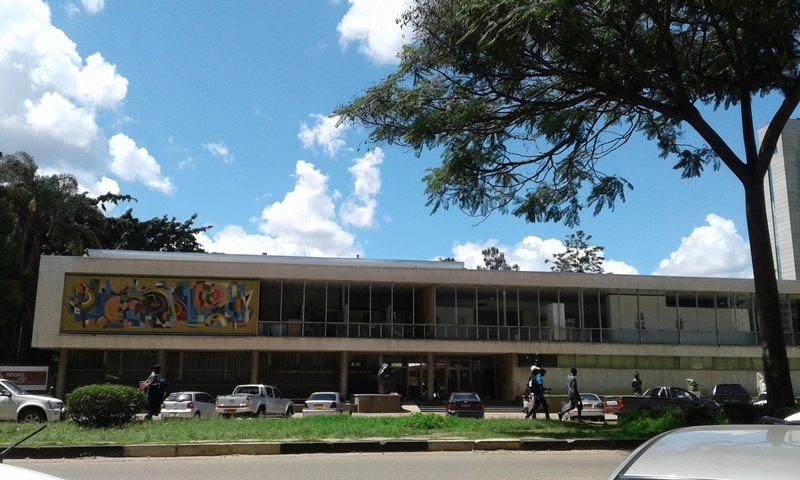 The National Archives established in 1935, contains many diaries, and reports of Zimbabwe's history. They are continually gathering information, including some works of some of the greatest names in African exploration and missionary work. The Botanical Gardens are situated in the New Alexander Park suburb, close to the city centre and any taxi driver would know where to take you. The main aim of the Botanical gardens is to promote conservation and look after many different species of indigenous plants. It is a very peaceful place to go and relax in the beautiful gardens with a picnic on a Sunday. This is found in a 20 acre sculpture park on the outskirts of Harare in a suburb known as Msasa. Chapungu was founded by Roy Guther in 1970, and has a huge selection of stone sculptures which are exhibited all over the world. Sam Levy's Village in Borrowdale is continually growing and today has numerous stores including bookshops, clothes, toys, camping, furniture, hardware, supermarket, beauty and ladies gym. In addition to all this, there are many restaurants and coffee shops to choose from when you need to rest your legs from too much shopping! Probably one of the best tourist shopping centres in Harare, as they have a large variety of curios, art and some of the products made by the local people. Examples of some of the shops found there are Art Mart, African Handwork Company and Zimbabalooba. Bulawayo is quite an old fashioned city compared to Harare it is a beautiful city with very wide streets. There are several places of interest to visit in and around Bulawayo including the National Gallery and Chipingali Wildlife Orphanage just to name a few. This part of the National Gallery of Zimbabwe it is situated in a house on Main Street, an elegant two-storey building of 1901. Mutare a beautiful border town which is also a provincial capital of Manicaland. It is the fourth largest city in Zimbabwe. Places of interest in Mutare include, include the national gallery, the local museum (Museum of Transport and Antiquities) and the Cecil Kopje Nature Reserve. Guests coming in to see other places of interest in the region can take a day tour, replenish supplies before setting out for Camping or Hiking in Chimanimani or Nyanga. Gweru is the main city in the Midlands Province, it is a small town with its main attractions being Antelope Game Park, where you can experience walking with lions. Thornhill Air Base is also found in Gweru as well as the Zimbabwe Military Museum.